A featured story selected as part of the “Social Enterprise IMPACT Showcase” hosted by the Social Enterprise Alliance-Twin Cities. Read more about the full Social Impact List. Can a for-profit company use its profits to grow, while also creating and funding solutions for increasingly important environmental and social problems? Greg Ackerson, co-owner of Apex Solutions, thinks so. Many newly created buildings are being designed with energy efficiency in mind — with furnaces that reuse heat, lights with automatic sensors, and energy- and heat-conserving layouts. However, many older buildings still need significant upgrades that can add benefit and value to these existing spaces. Meet Apex Solutions, the energy efficiency social enterprise working to address the environmental and social impacts of these aging facilities. 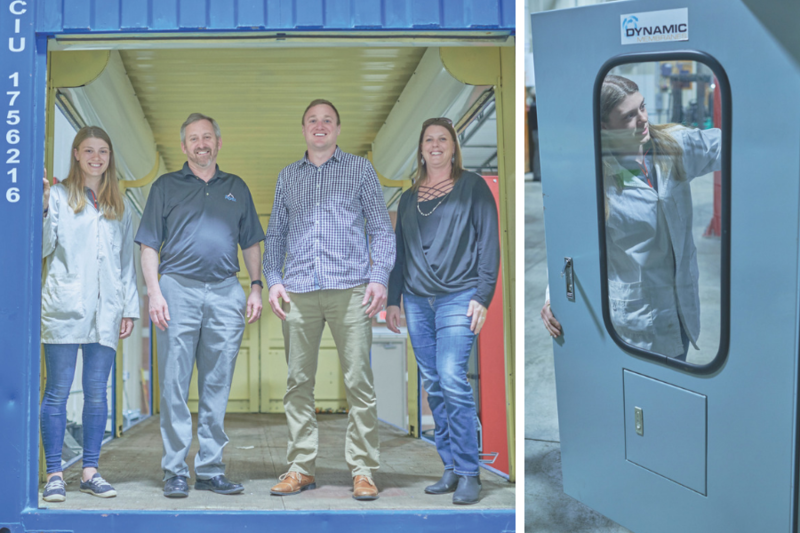 In 2012, while working at a company they didn’t quite believe in and that made decisions they didn’t agree with, Greg Ackerson and his future business partner, Mark Rasmussen, began dreaming of running their own company. That summer, Greg went on a mission trip to Haiti, where working with locals inspired him to take the plunge and create Apex Solutions, a Specific Benefit Corporation that upgrades energy efficiency in facilities to reduce carbon emissions and pollution. To create a more multifaceted model that supported both their environmental work and social responsibility, Greg and Mark created the Apex Foundation in 2015. It utilizes a portion of Apex Solutions’ profits to support domestic and international nonprofits. So far, the Foundation has donated over $200,000 to help reduce poverty, provide secure housing, improve access to childhood education, and address the exploitation of children. 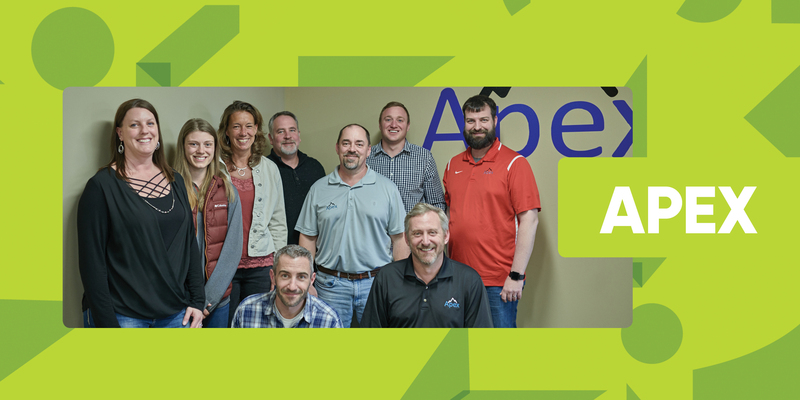 The collaborative and multifaceted nature of Apex Solutions and the Apex Foundation are unique among businesses in Minnesota. Many of their clients, which operate schools, government buildings, and other public spaces, have decreased their dependency on fossil fuels, reduced their operating costs, and made their spaces more usable, comfortable, and safe. Apex has seen tremendous success in reducing their clients’ overall energy footprints. 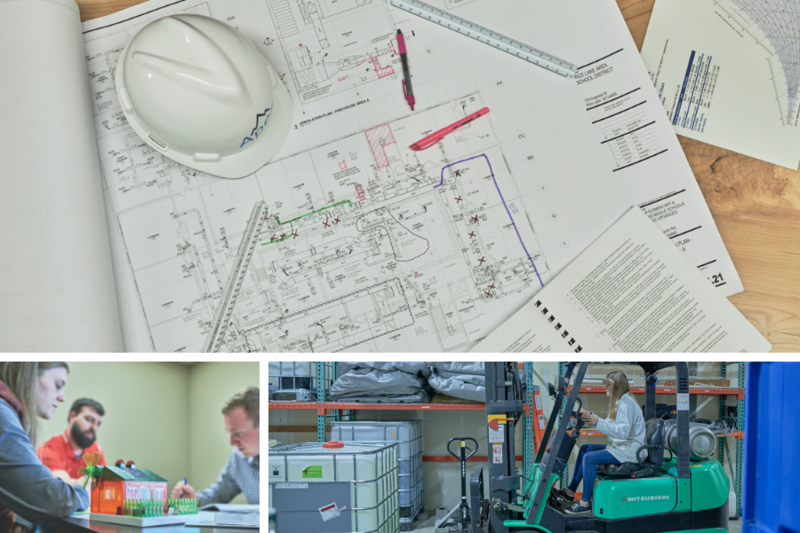 Since they were founded, they have helped facilities save 45,450,400 kWh (kilowatt hours) of electricity each year, 301,350 therms of natural gas, 42,625 metric tons of CO2, while also generating 14,011,100 kWh of renewable electricity. Beyond the numbers, upgrades are often a source of pride for those who use, work, and visit these improved spaces. They offer an opportunity to explore how everyday life relates to the real environment we all share. Greg believes that running a company isn’t just about the good they do through their work, but about investing in the people who make it happen. “The success of the company is a result of the employees,” Greg says. Apex Solutions expresses their commitment to their employees through funding a yearly trip to Haiti where they can use their engineering, construction, and planning skills to improve the lives of people there. From laying out building plans for a school in Williamson to preparing for a new electric grid by rewiring homes, the employees of Apex, as well as some of their subcontractors and other partners, have brought tangible, lasting value to Haitian communities. Apex is passionate about partnership, and have donated to several international and domestic charities that share their vision. “Apex firmly believes it is better to be working alongside organizations who are currently engaged in meeting the goals that Apex shares, than to try to recreate the successful programs they have already developed,” says Greg. 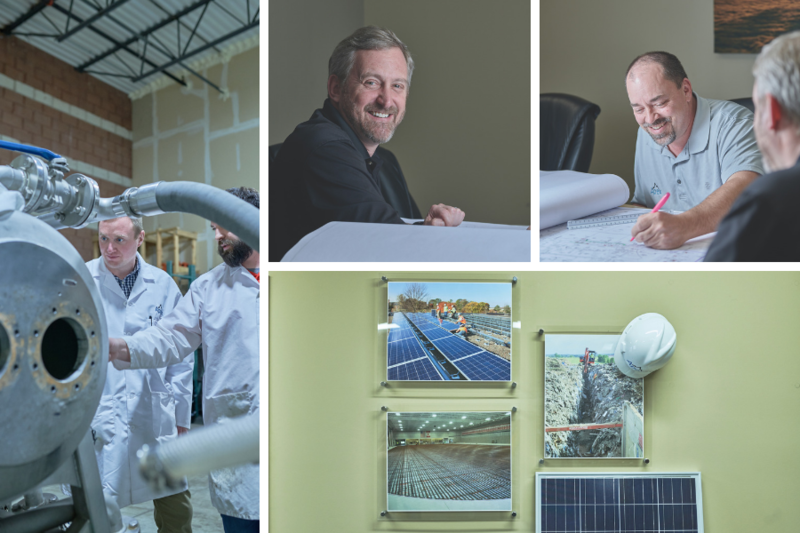 By creating a place that cares for its employees, the environment, and communities nearby and abroad, Greg and Mark built the kind of company they dreamed of working at seven years ago. At the heart of Apex Solutions is a belief that for-profit companies can and should play a role in helping their communities. Writing by Zoe Harvey & Photography by Tyson Crockett. Produced by Pollen Studio.